Lenovo’s forte this time is its two variants in Yoga Series: Lenovo Yoga 8 (8 Inch screen) and Lenovo Yoga 10 ( 10 Inch Screen). “Try, Try and Try again. One day you will succeed.” I think Lenovo has taken up this quote too seriously. 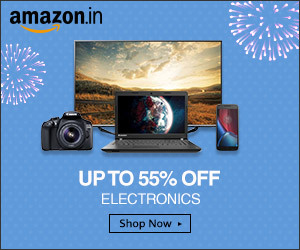 No doubt, Lenovo has respectably begged its ubiquity in various segments of technology and has been an inception to preeminent smart technology. But the pace is still moderate when it comes to tab game. This Chinese techno player still has a long way to go. Vicissitude is the key to success because everyday evolving market does not wait for anyone. To be something, you need something (Something that should jump out of the plate). 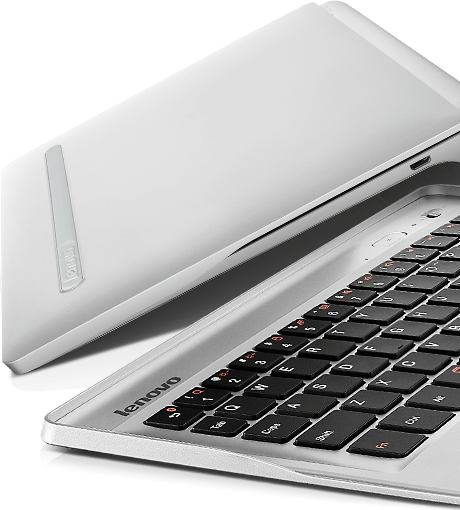 Yoga series… is the latest of all from Lenovo’s pocket. Flexibility, elegance and curvaceous figure (No… I am not talking about a hot model here!!! )… are the chronicles that speak for yoga. Metal construction along with exceptionally sleek body, low weight and exclusive design that at first feels to be too extra ordinary, turns out to be real contentment when you have the baby in your hands. And this is because of the slightly cylindrical end at one side that acts as the handle and also grips the battery in a unique sense. It takes three yoga poses- stand, tilt and hold. Just wonderful… I know design is okay but what about specs and features??? 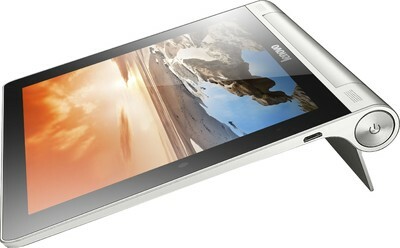 A 4.2.2 (Jelly Bean)OS and 1.2GHz (Cortex-A7) processor are coupled with 1GB of RAM. Both 8-inch display and 10-inch display comes with 1280×800 pixels resolution but picture quality is still prosaic. Both variant engraves 16 GB internal storage expandable up to 64 GB using microSD card. Both variant support all the general suites of connectivity like Wi-Fi, Bluetooth and 3G (But only 8 Inch variant supports voice calling). 5 MP Autofocus rear camera and 1.6 MP front-facing camera boats the slate. But the placements of these cameras does not go well ‘conveniently handy’ clause. The Yoga 8 and Yoga 10 are powered with 8000mAh and 9000mAh of battery ratings respectively. Exactly, exceptional battery backup… In the series of tab that supports similar configuration, good battery ratings and awesome design stipulation make this tab good to go. But priced at Rs. 22,999 and Rs. 28,999 respectively, Lenovo Yoga 8 and Yoga 10 do not suffice the cost in relevance with the price sensitive market like India. There stand plenty of rookie with better specs that can be considered.